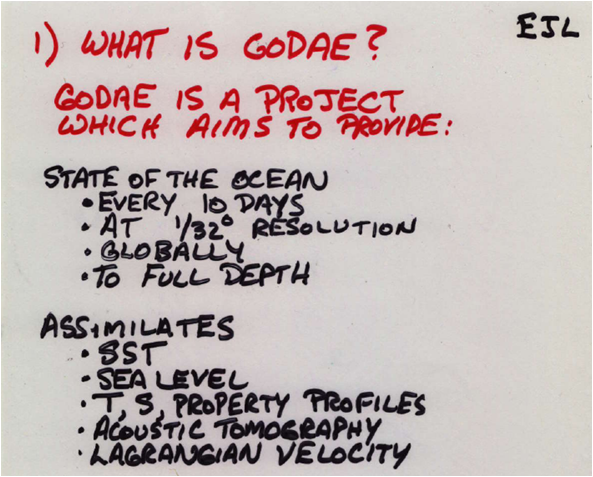 GODAE (1997 - 2008) had coordinated and facilitated the development of global and regional ocean forecasting systems, and ended as an experiment in 2008 having achieved most of its goals. It had been demonstrated that global ocean data assimilation is feasible and GODAE has made important contributions to the establishment of an effective and efficient infrastructure for global operational oceanography that includes the required observing systems, data assembly and processing centers, modeling and data assimilation centers and data & product servers. There are still major challenges to face and global operational oceanography is now transitioning from a demonstration to a permanent and sustained capability. The GODAE OceanView Science Team (GOVST) was created with the mission to define, monitor and promote actions aimed at coordinating and integrating research associated with multi-scale and multi-disciplinary ocean analysis and forecasting systems, thus enhancing the value of GODAE OceanView outputs for research and applications. Details about the GOV Science Team, its strategy, the aims & challenges of the Task Teams (TTs) and a description of the GODAE OceanView Systems can be viewed via the links below.